Suva – Civil Society Organisations (CSOs) have been challenged to push for urgent action in implementation of the Sustainable Development Goals (SDGs); to focus on sustainable, transformative change and use the SDGs as a framework to amplify and strengthen CSO work as well as monitor progress and find new ways to shift data back into the hands of citizens. The PIANGO pre-Council conference opened in Suva at the Vale Ni Bose yesterday. With the theme, “Leaving no one behind in reshaping the Pacific we want”, the PIANGO Council proper will officially run from 17-18 November, 2016. 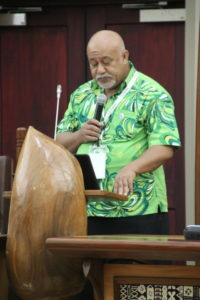 The Council is being attended by National Liaison Units (NLUs) from Aotearoa, Australia, Cook Islands, Commonwealth of the Northern Mariana Islands, Federated States of Micronesia, Fiji, Guam, Kanaky, Nauru, Samoa, Tonga, Papua New Guinea, Solomon Islands and Vanuatu as well as representatives from CIVICUS, regional and international organisations. Outgoing PIANGO Chairperson Siotame Drew Havea said it was heartening to see the great support from PIANGO’s National Liaison Units (NLUs) who rose to the challenge and took ownership of PIANGO in true Pacific spirit when the organization faced challenges eight years ago. “You inspired and mandated the new Board and myself as the Chair to continue and move forward in our role to effectively address the challenges. I am proud to say that PIANGO has secured three years funding for its programmes and this is a great opportunity for more engagement by civil society with its development partners and for more support from them to PIANGO which will also benefit our national NLUs,” Mr Havea told PIANGO members. Mr Havea attributed a large part of PIANGO’s success to the work of its Executive Director, Emele Duituturaga who he said had rallied support from the international community to boost PIANGO’s work at the global level and whose work has enabled PIANGO to create conducive spaces for civil society to engage at the regional level. “The PIANGO story was one of commitment, strength, inspiration and innovation. This is our Pacific community. 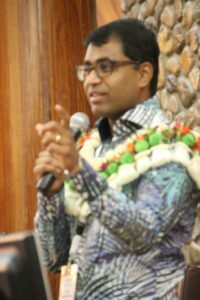 It is a story of the Pacific we want,” he said. “As part of the larger Pacific family, all Pacific Islanders have an obligation to each other as brothers and sisters, as family and as such, an obligation to free our colonised brothers and sisters, including West Papua. The Pacific story is one of inspiration, of trust and of relevance and of the CSO sector making a difference to the rest of the world,” Mr Havea said.